NBC’s new drama Rise is catching heat for straightwashing its lead character, and its showrunner’s defense of that move is likely not going to gain him any support. 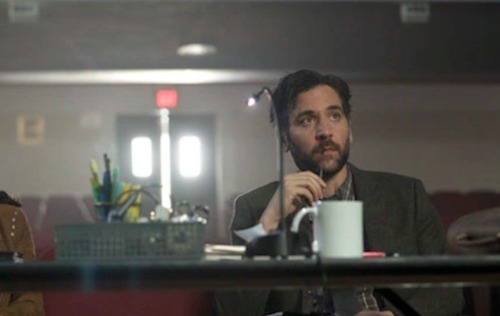 Josh Radnor plays high school drama teacher Lou Mazzuchelli, based on real life teacher Lou Volpe. He revives the theater department, having the guts to stage controversial plays like Spring Awakening in the small working class town. Volpe did all this while also struggling to accept his sexual orientation, eventually coming out late in his career. This key character point has been obliterated by executive producer and showrunner Jason Katims, however, who just couldn’t see enough of himself in the gay teacher. So Katims erased that part of the character in order to get straight, white, cis male representation on America’s TV screens. Because we can’t have enough of that, right? Perhaps feeling alone in the straightwashing spotlight, Katims took it one step further and threw the actors and writers under the “How can we possibly relate to a queer?” bus. “I felt like it was important to me to honor what the source material was, but then to also kind of make it my own so that we would all be able to sort of lean in and do the work that we need to do as actors and writers,” he said. Just when you thought you couldn’t hate the phrase “lean in” any more. This just reiterates the importance of LGBTQ people telling our own stories. Here is where I’d normally tell you when it premieres and include a promo video, but somehow I just don’t feel like leaning into the thought of helping it get viewers.